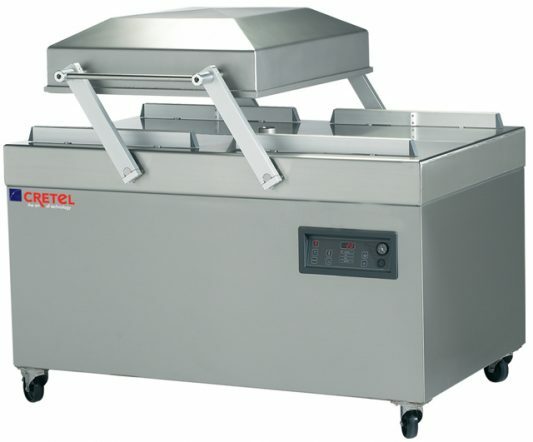 The Cretel VA520 is a heavy duty free-standing vacuum machine with programmable memory settings, and has extensive program choices for specific packaging requirements. 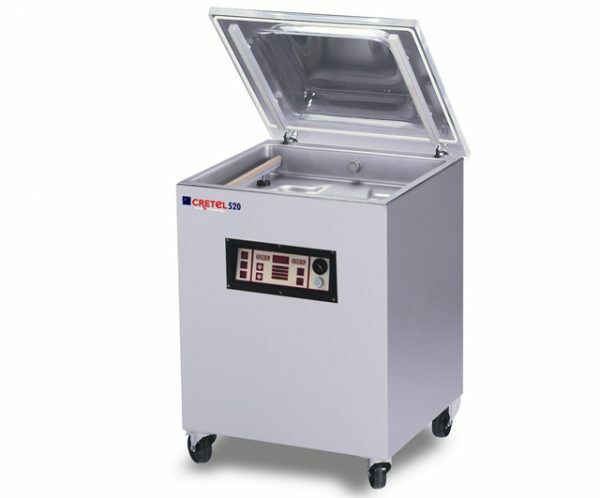 This unit is constructed in full stainless steel with a transparent perspex lid for viewing. 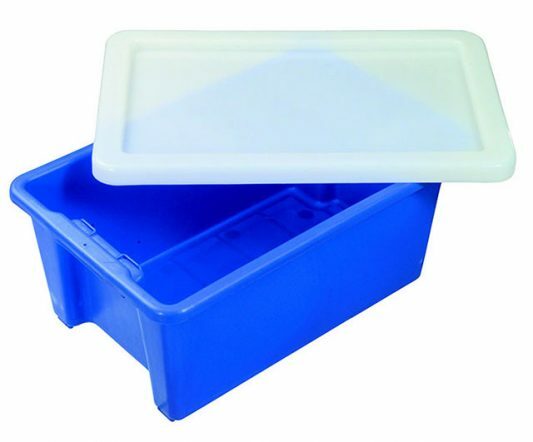 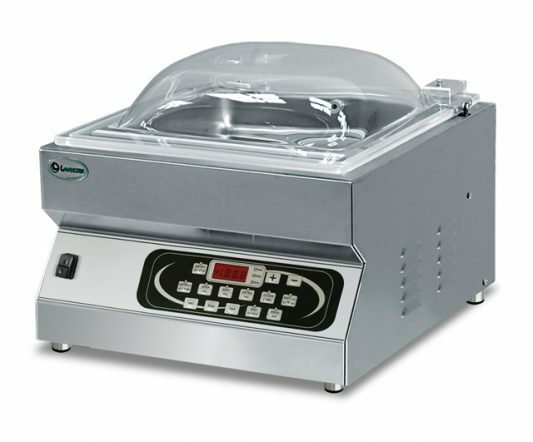 Furthermore, its deep-drawn chamber and rounded corners facilitate easy cleaning and optimal hygiene.